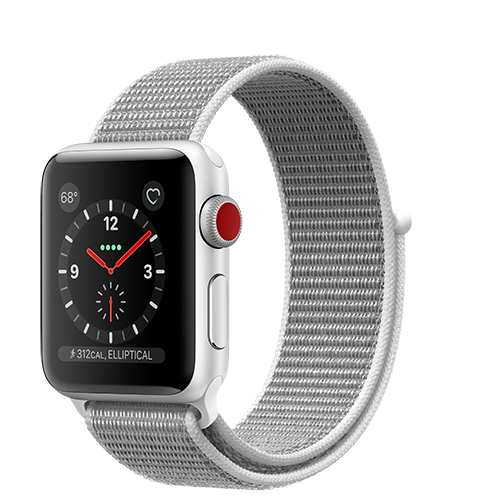 GPS Apple Watch Series 3 (GPS) lets you send and receive text messages, answer phone calls, and receive notifications when it’s connected to your iPhone via Bluetooth and Wi-Fi. The built-in GPS works independently of your iPhone for distance, pace, and route mapping in workouts. GPS + Cellular Apple Watch Series 3 (GPS + Cellular) has all the same features, as well as built-in cellular. It gives you the freedom to send and receive text messages, answer phone calls, and even receive notifications when you don’t have your iPhone with you.